You are at:Home»Great Falls Montana»Ford’s Drive In Open? 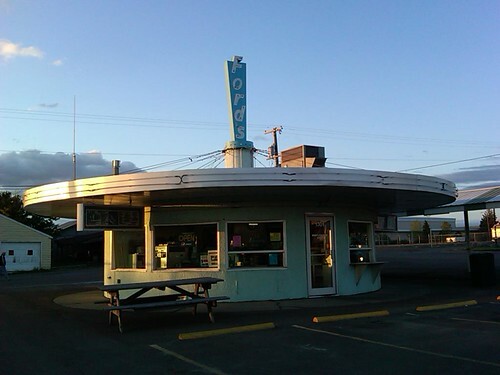 Stopped by Ford’s Drive In on Tuesday evening – closed. Stopped by again on Wednesday – closed. 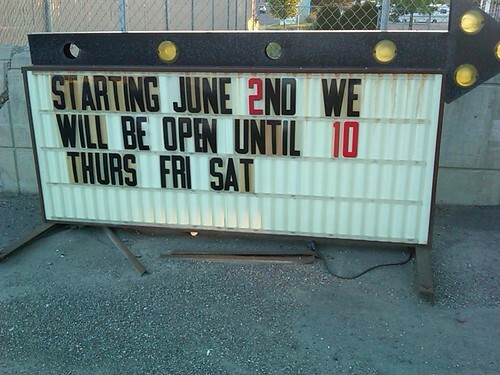 So…are they ONLY open on Thu/Fri/Sat now? Does anyone know? UPDATE: duh – they close at 8 pm regularly – I had been stopping by at about 8:30 pm. So: open til 8 pm, but open til 10 pm on Thu/Fri/Sat.